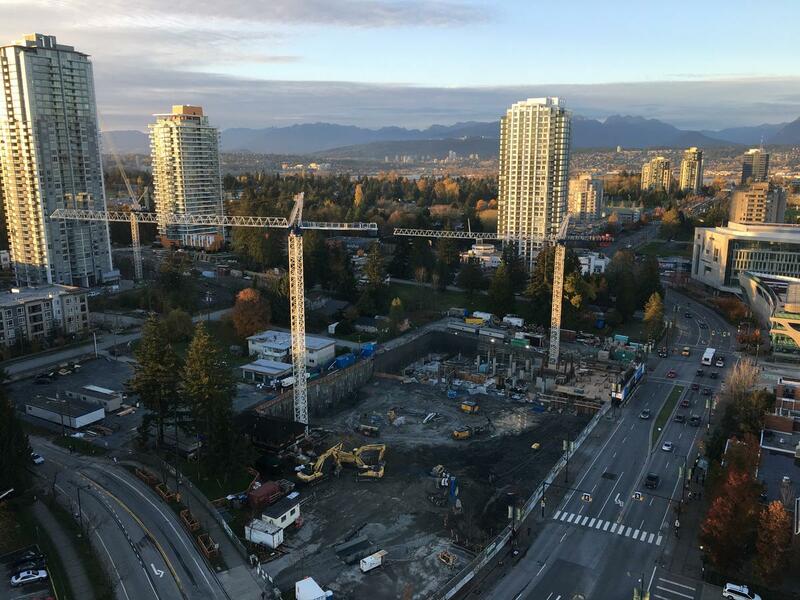 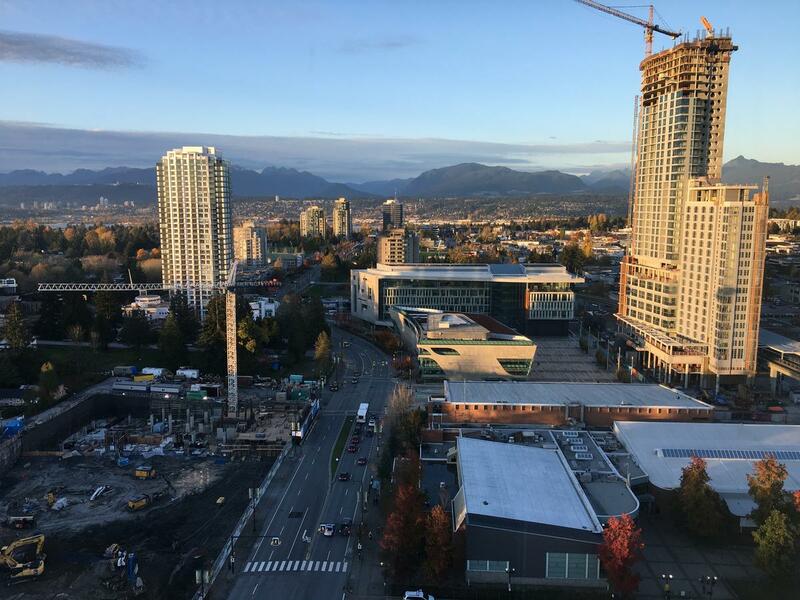 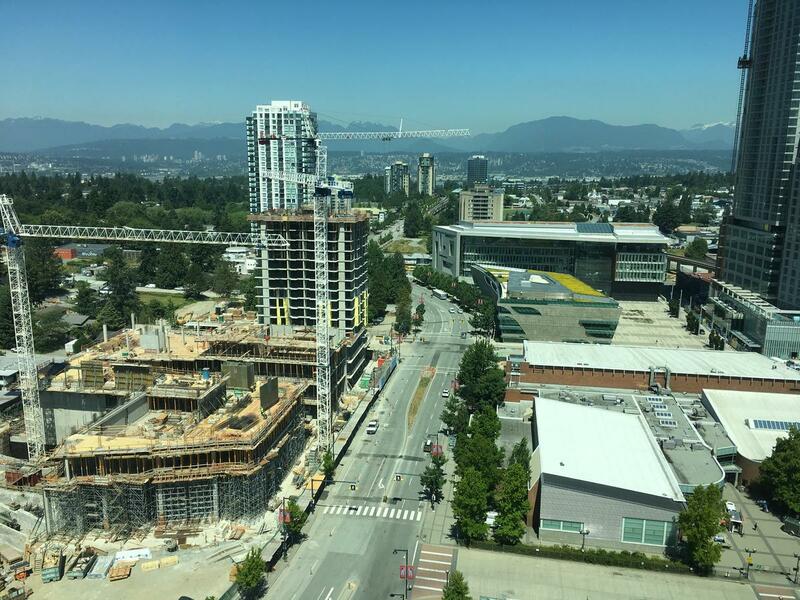 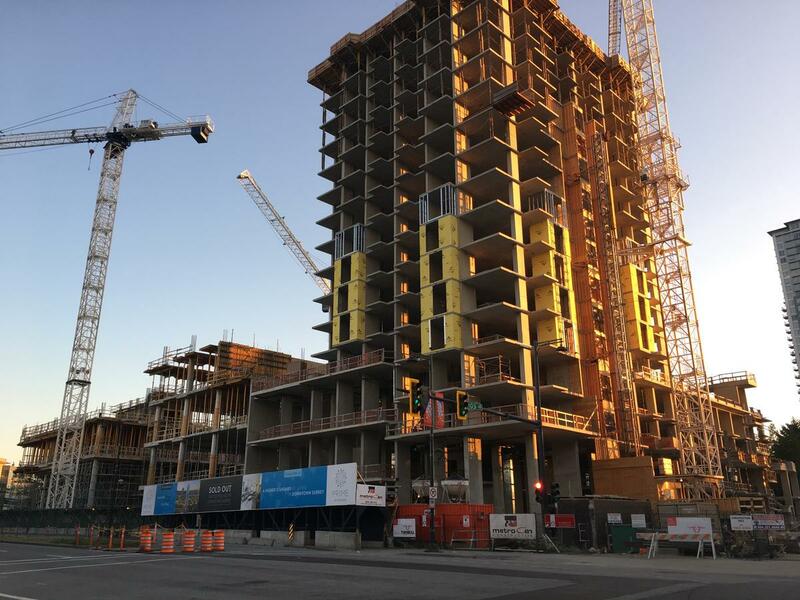 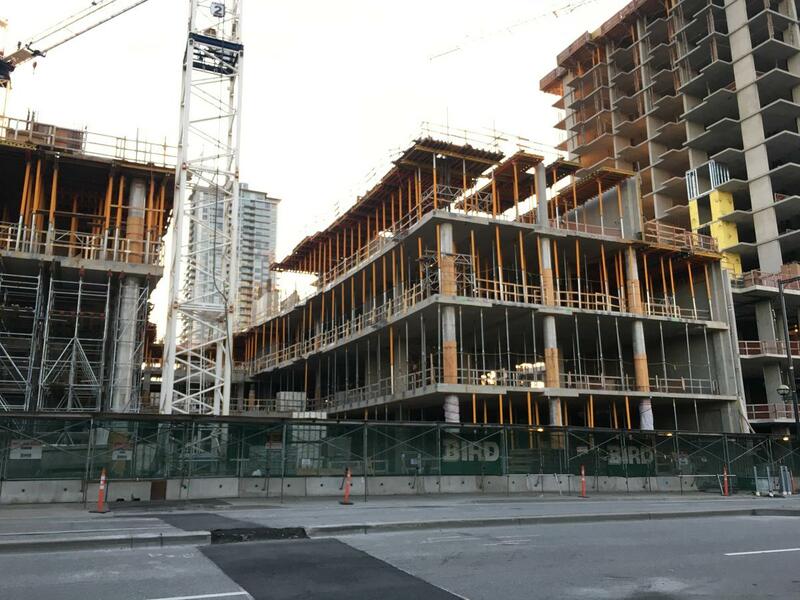 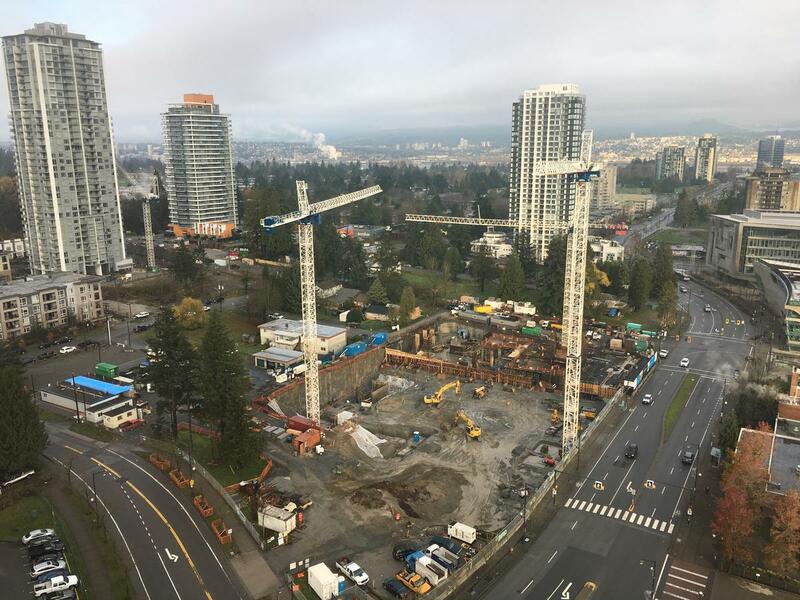 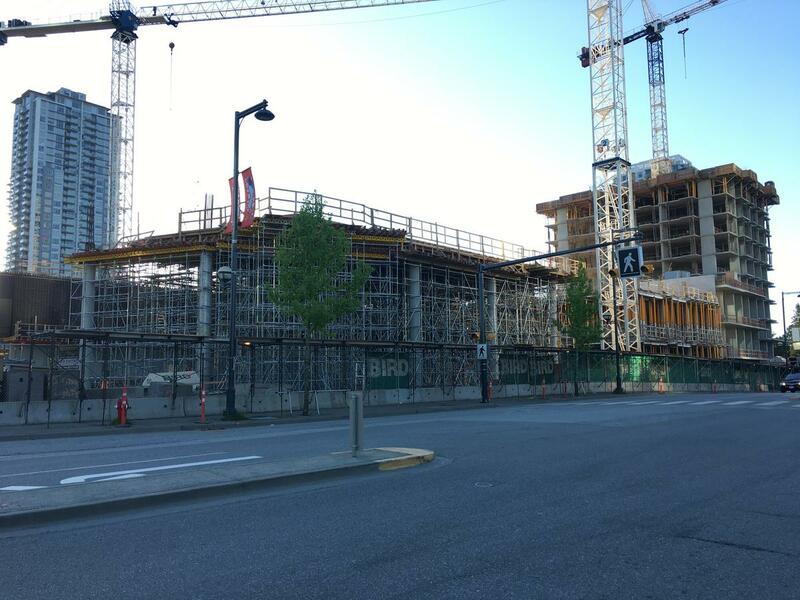 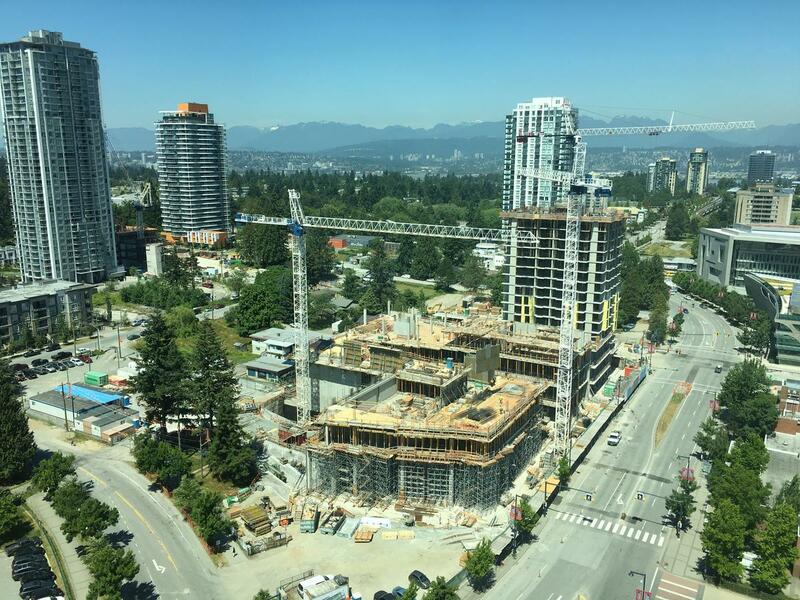 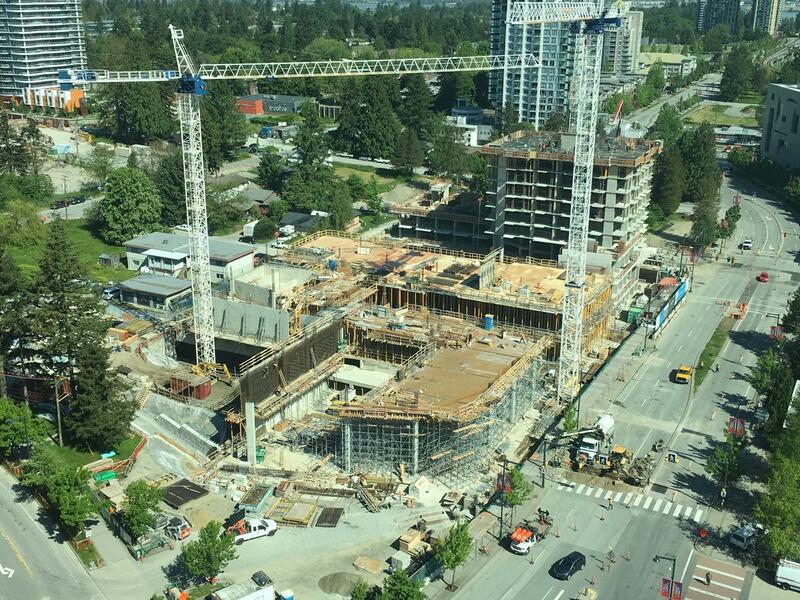 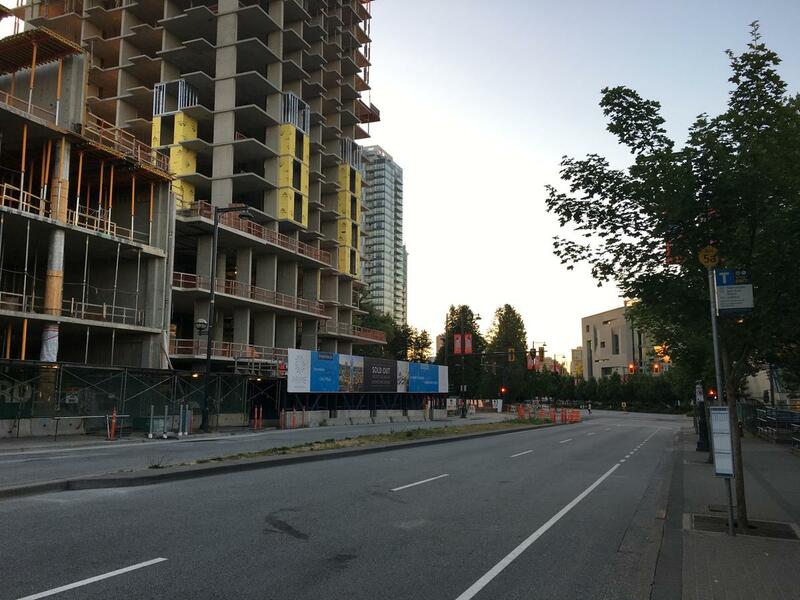 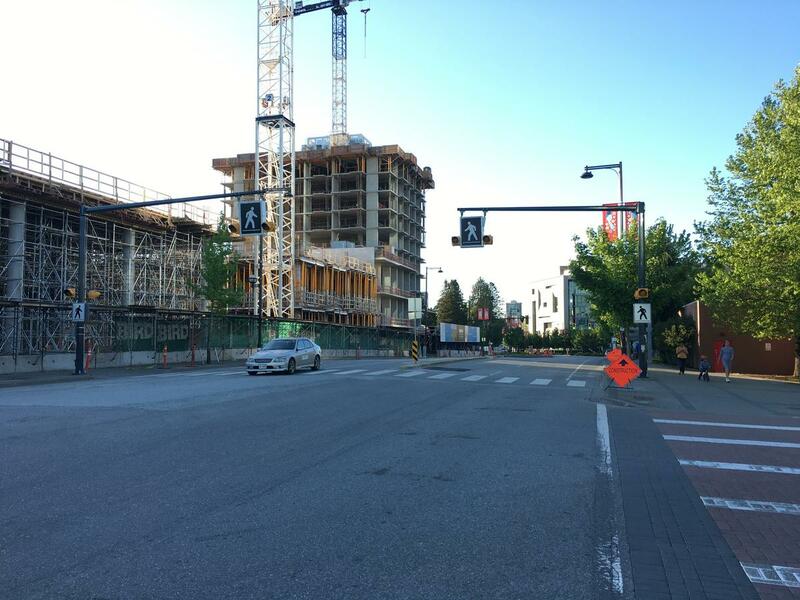 Over the past weekend a 2nd tower crane was added at the SFU Surrey expansion project, bringing the total number of cranes in the immediate vicinity to 5, and the total number in City Centre to 8. 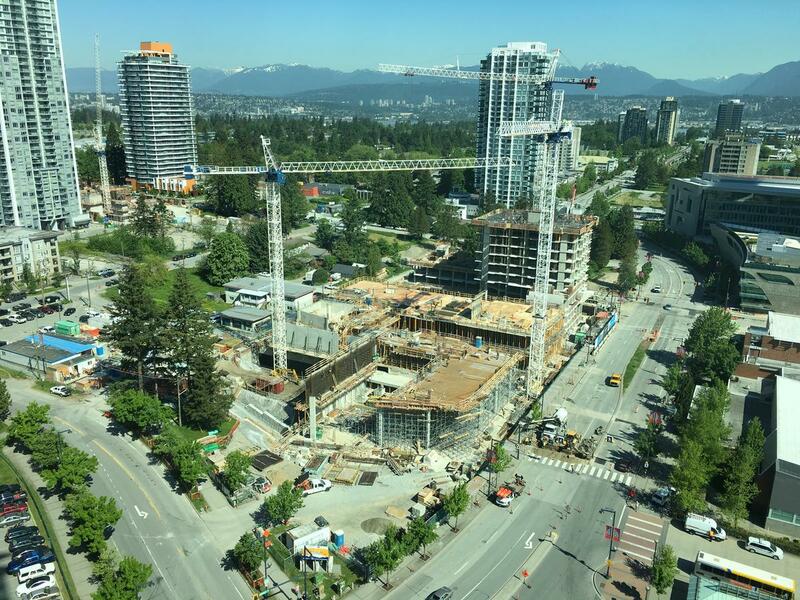 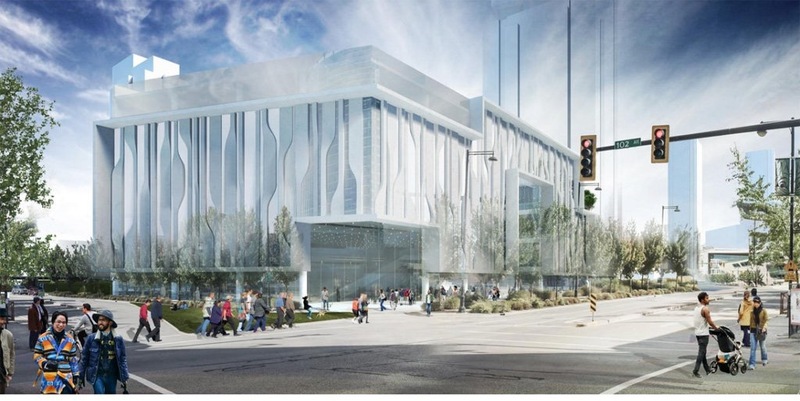 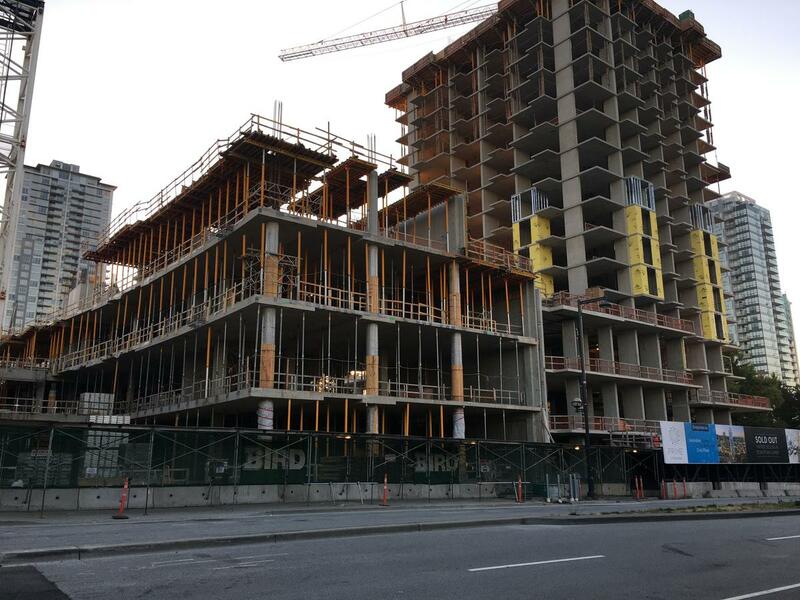 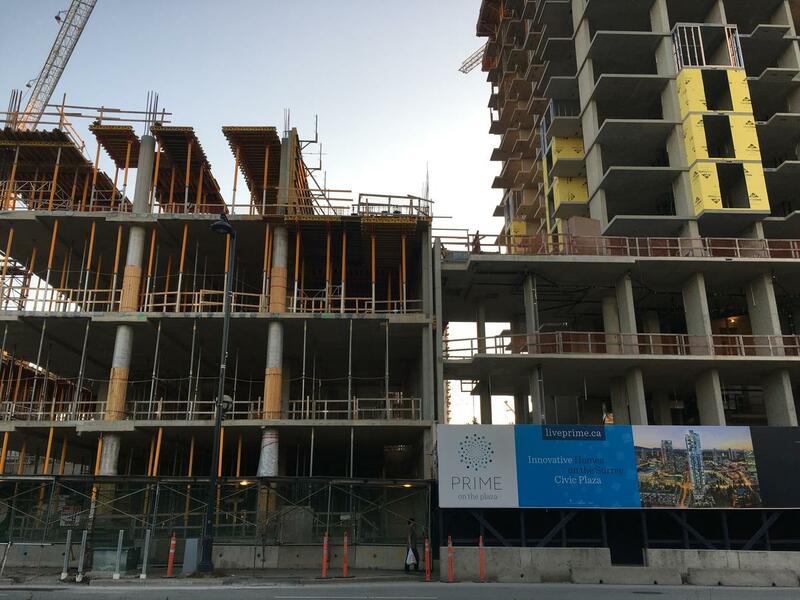 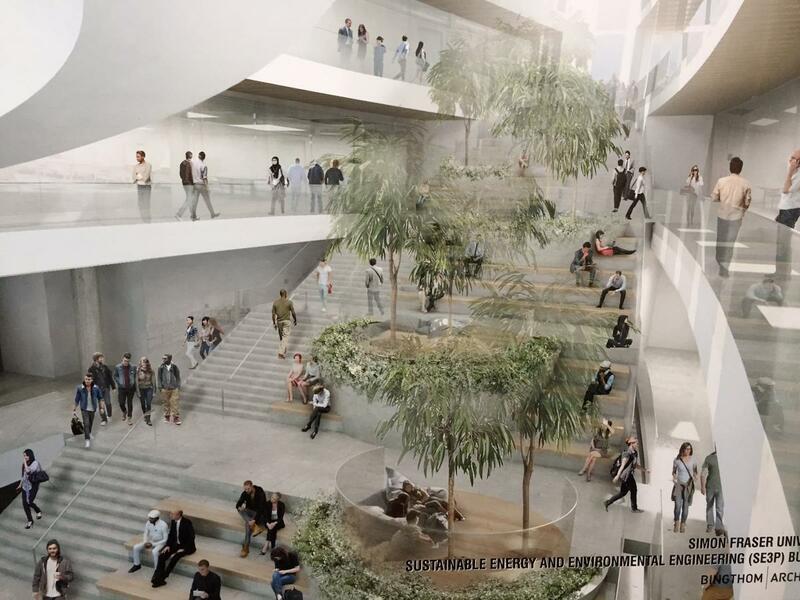 While the building under construction will only be 5 storeys in height, its large footprint and accelerated construction schedule are both likely reasonings for the addition of a 2nd crane. 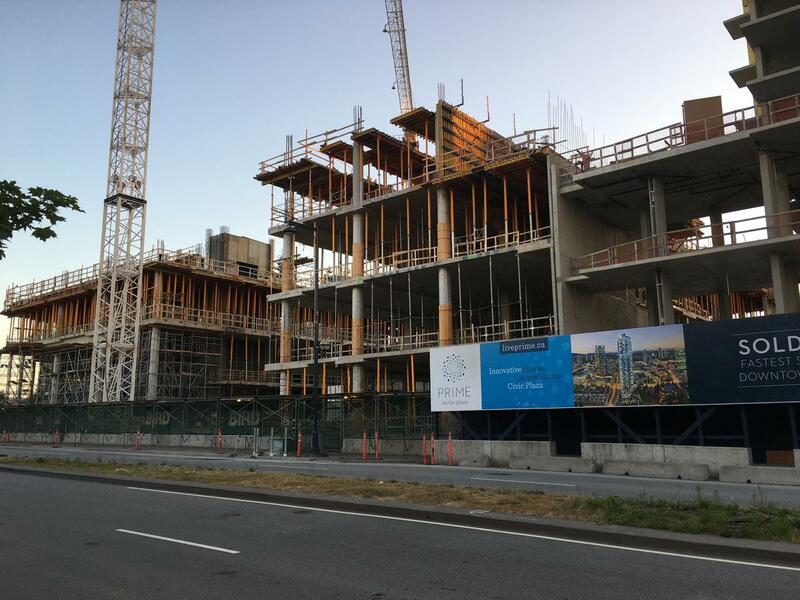 It is also worth noting that the building will be higher than a typical 5 storey building, with a planned height of 35m (115′) according to a Surrey Planning Report. 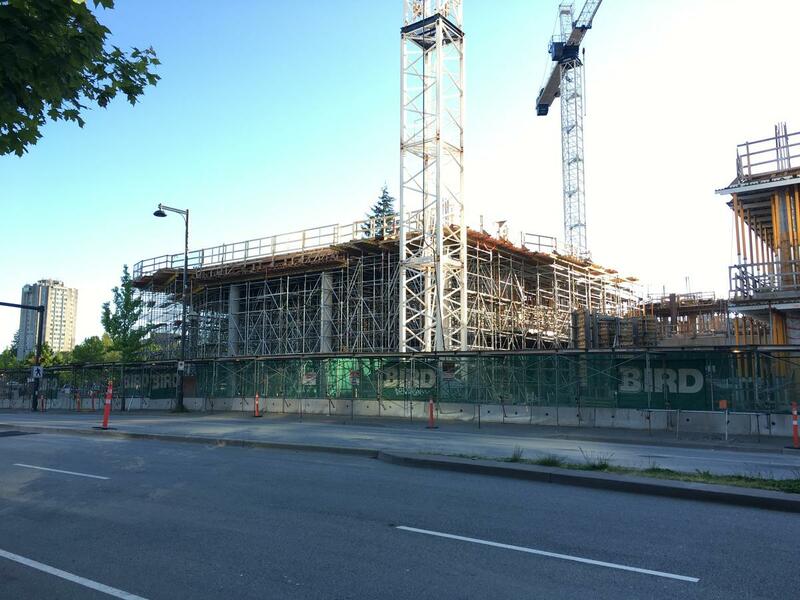 For comparison, this is closer in height to a 9 or 10 storey condominium building. 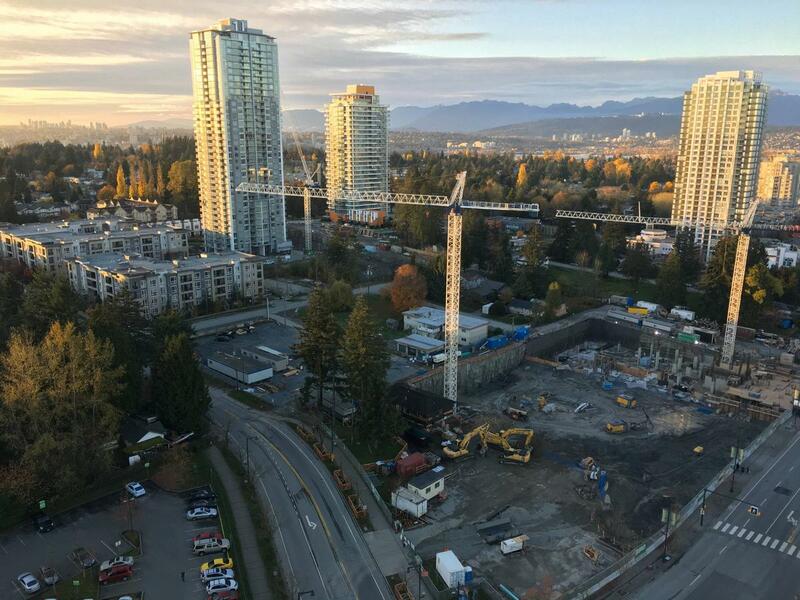 This newest crane adds to the growing number of cranes in Surrey’s rapidly changing skyline. 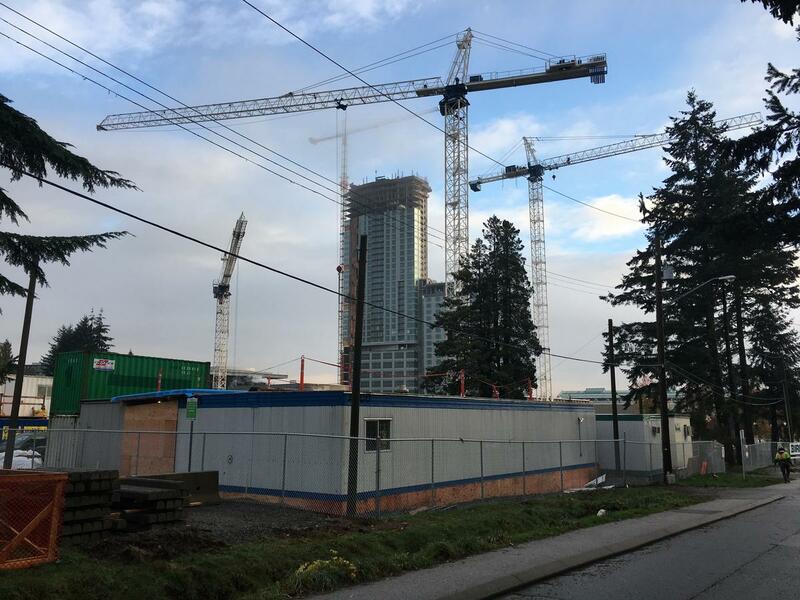 The number of cranes currently up is unprecedented in the city’s history, and a visible sign that development within City Centre is now accelerating. 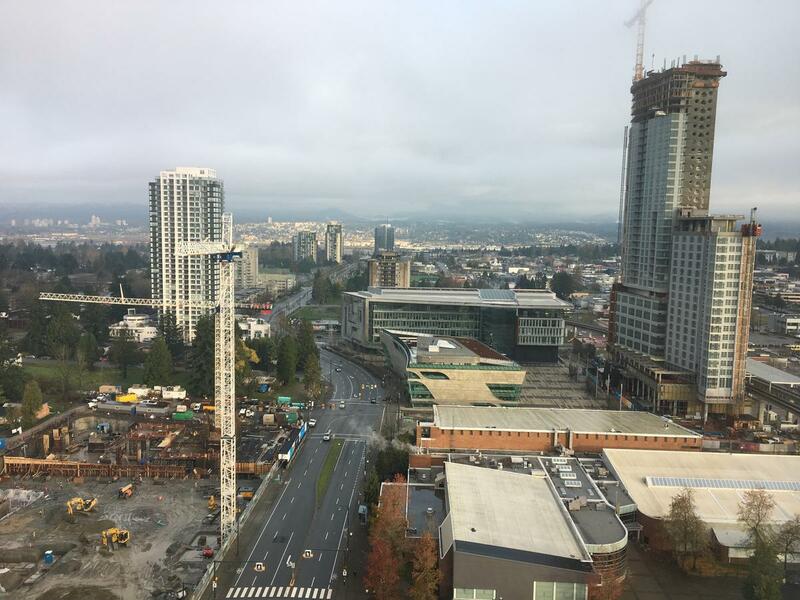 Given the large number of development applications already underway for future towers, the sight of cranes across Surrey’s skyline will likely only continue to grow in the coming years.